*1 Satoshi Iizuka, Edgar Simo-Serra, Hiroshi Ishikawa: “Let there be Color! : Joint End-to-end Learning of Global and Local Image Priors for Automatic Image Colorization with Simultaneous Classification.”; ACM Transaction on Graphics (Proc. of SIGGRAPH), Vol. 35, No. 4, #110, 2016. There are two photographs above. A black-and-white photograph of two Okinawan women was taken by a photographer of the Asahi Shimbun Newspaper in 1935. 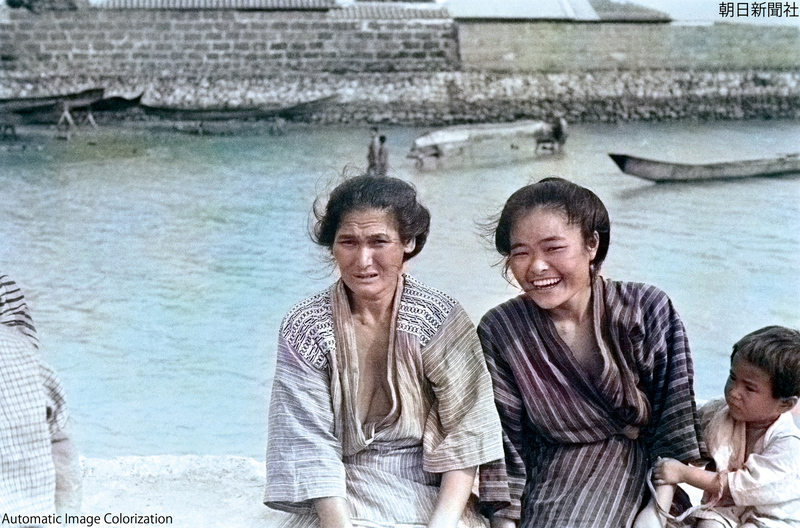 A color photograph was colorized by artificial intelligence technology*1 and image processing software. Like this example, the impression of the person is “frozen” in a black-and-white photograph. However, we can “reboot” that impression and add reality with AI technology. 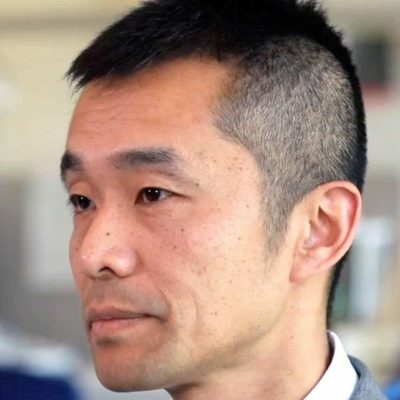 The research theme of the Hidenori Watanave Laboratory is “Rebooting Memories”. This work includes the creation of digital archives, and the colorization of black-and-white photographs. As a part of this research, a workshop series on “Rebooting Memories” was held for general participants at the Nippon Newspaper Museum (Naka Ward, Yokohama City) on 26th May and 23rd June (Okinawa Memorial Day), 2018. A special exhibition called “Revibed Okinawa 1935” is being held at the Nippon Newspaper Museum. It is a photographic exhibition of daily life in Okinawa taken in 1935 before WWII. 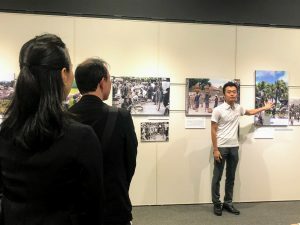 At the venue, about 100 black-and-white photographs including the colorized photographs by the Hidenori Watanave Laboratory are on display. In the workshops, participants were first of all taught the coloring techniques. This was followed by a time for participants to dialogue, surrounding the colorized photos. 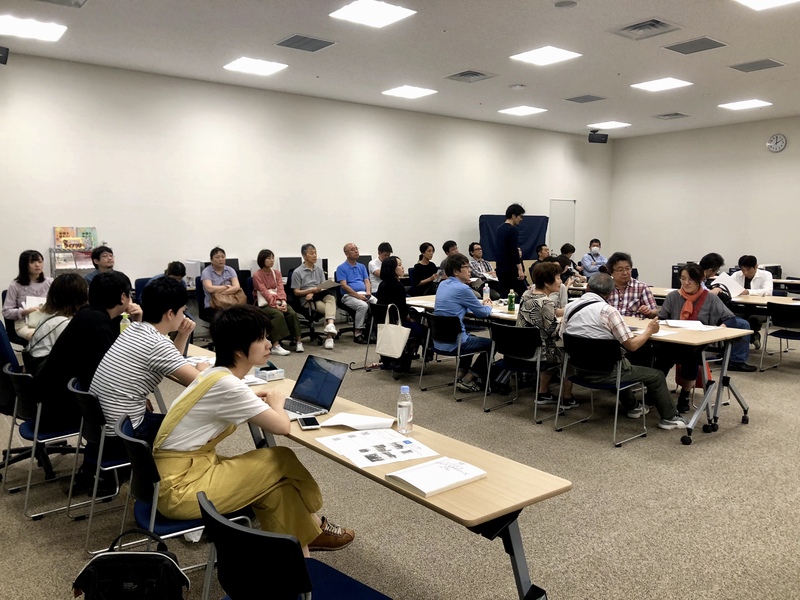 The subject of colorization of the first workshop was photographs brought by participants, and the second workshop’s was photographs of pre-war Okinawa. 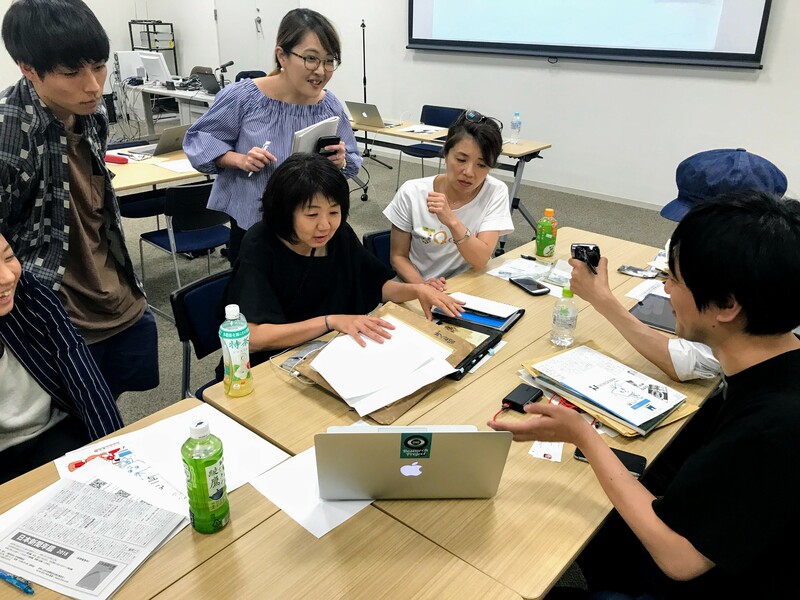 In the workshops, students from Hidenori Watanave Laboratory served as tutors. The first step of colorization is very simple. It includes non-contact scanning and automatic colorization, and is completed only with smartphones. Participants were very surprised that the impressions of black-and-white photographs were changed dramatically by a very simple process. After that, a place was set up to talk about memories of each photograph while viewing colorized photographs created by the participants. There was excited conversation about memories of deceased fellows, the landscape of foreign countries previously visited, prewar cities only known in black and white, among other topics. We plan to continue activity on “Rebooting Memories” to increase the information value of by converting “stocked” records in society into “flowing” images, thus transmitting past memories to the future based on emerging communication. Please refer to our paper for more details. An article about the “Rebooting Memories” project co-worked by the Hidenori Watanave Laboratory and Hiroshima Jogakuin High School was published in “The Japan Times”. I hope you will read it.